As I play more with OBIEE, I learn more about what it is capable of and where its main power resides. OBIEE has 3 layers: Physical, Business Model and Mapping, and Presentation. 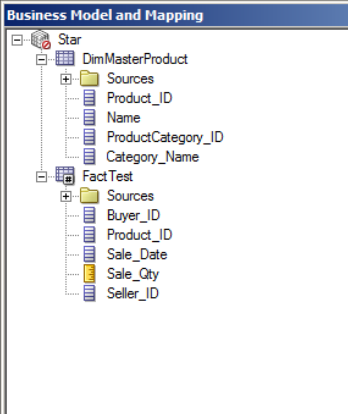 The middle layer, BMM, is what makes OBIEE special: it is where we can define how data from different sources and tables come together and form a nice and clean star schema. Like most of my posts, I am gonna explain how this is achievable by demonstrating a demo. 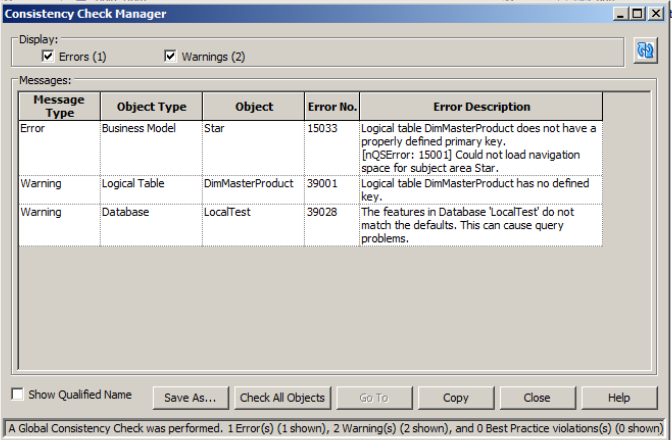 I defined 2 databases in my local instance of SQL Server. 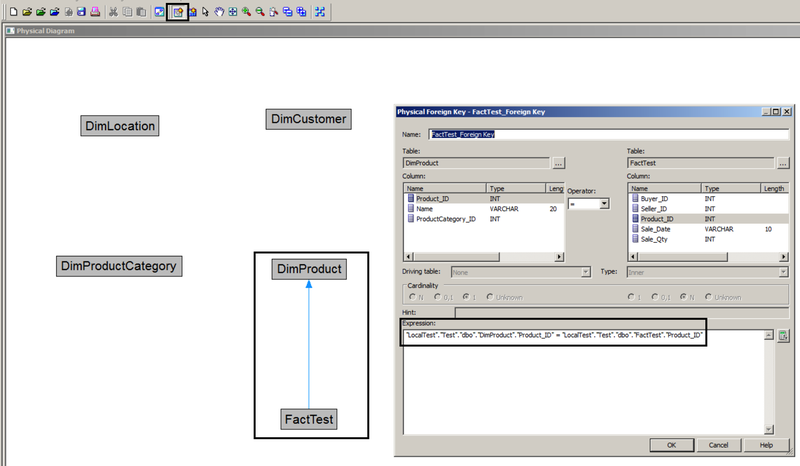 One with 1 fact table and 3 dimensions and another one with a single dimension that will be referenced by one of the dimensions in the first database: DimCustomer, DimLocation, DimProduct and FactTest in database Test and DimProductCategory in database Test2. Click on File and then New Repository. This will launch Create New Repository wizard. 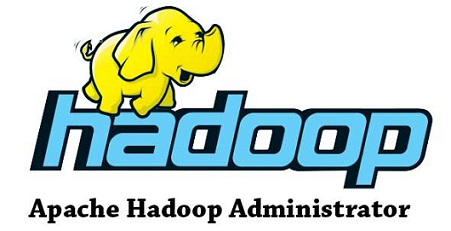 As you know, we can define only one data source using Create Repository wizard. 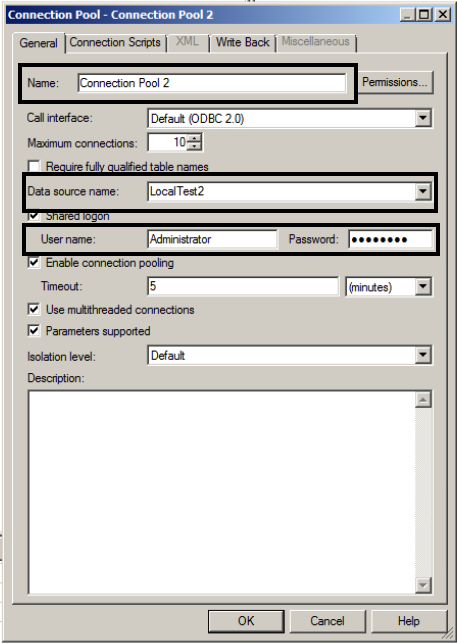 I used this wizard to create my first database connection to Test database. I didn’t list steps here because it is very easy and straightforward. 2-Provide a name in General tab. Click on “Connection Pools” tab and then click on the green “+” sign. 3- Give the new Connection Pool a name, select the data source pointing to the second database from “Data Source Name” drop-down list and enter appropriate “User Name” and “Password”, as shown below. You will be prompted to re-enter the password after clicking Ok.
4- Click Ok again in New database window. 5- Now that we have added a new database and connection pool to our Physical layer, it’s time to add tables to the new connection. Right click on the entry for the new connection pool ( in my case, Connection Pool 2) and select “Import Metadata”. 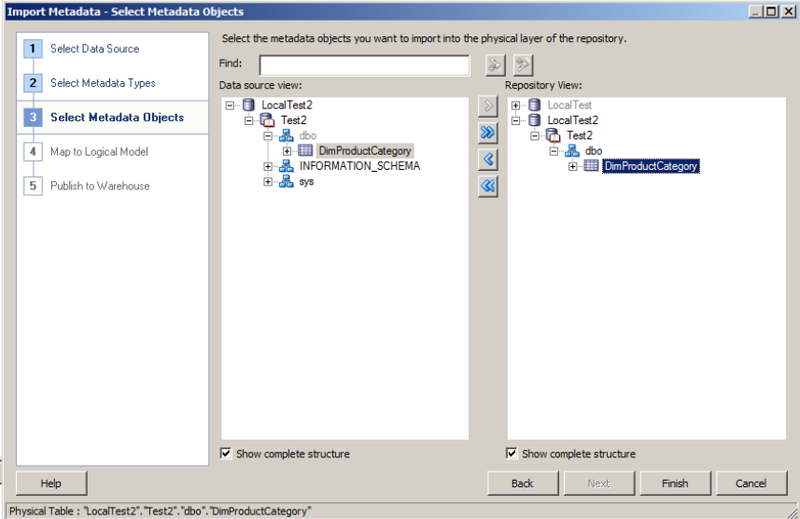 This will launch Import Metadata wizard, where you can select objects that should be added to the Physical layer. Now it is the time to define how tables are joined together in Physical layer. 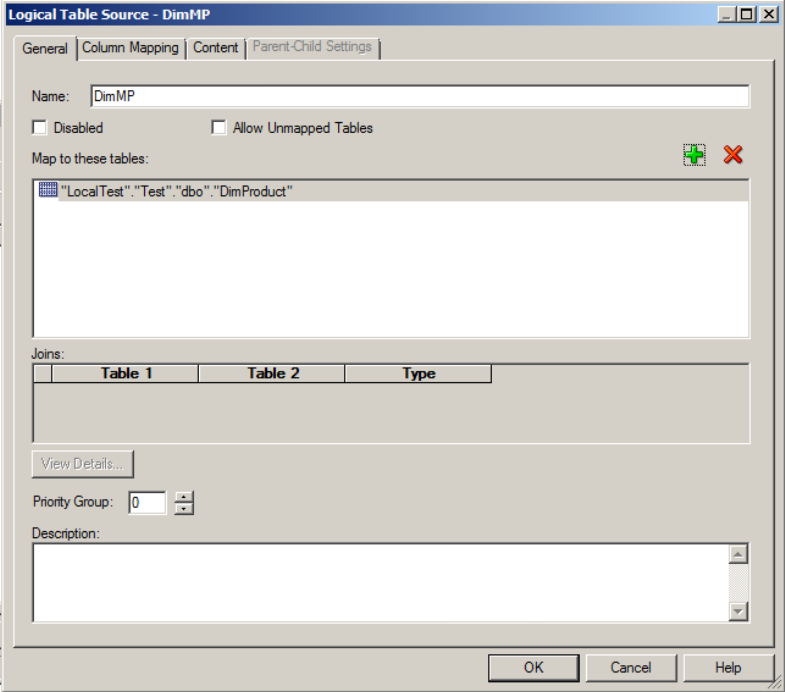 1- Select tables from both connections, right-click and select “Physical Diagram” and then “Selected Object(s) Only”. I didn’t define any foreign keys in my database, therefore I’ll get none of the tables related together in my initial physical diagram and I have to define how tables are joined manually. After finishing with physical layer, it is time to define the business logic in BMM layer. In this section, we are gonna create a new Business Model, add objects from Physical layer to it, and define our Star schema on top of snow-flake diagram we created in physical layer by combining DimCustomer & DimLocation into one dimension, and DimProduct & DimProductCategory into another. 1- Right-click in Business Model and Mapping pane and select “New Business Model..”. Give your model a name and un-check Disabled checkbox. 3- Now it’s time to combine our first tables together and create a single dimension. 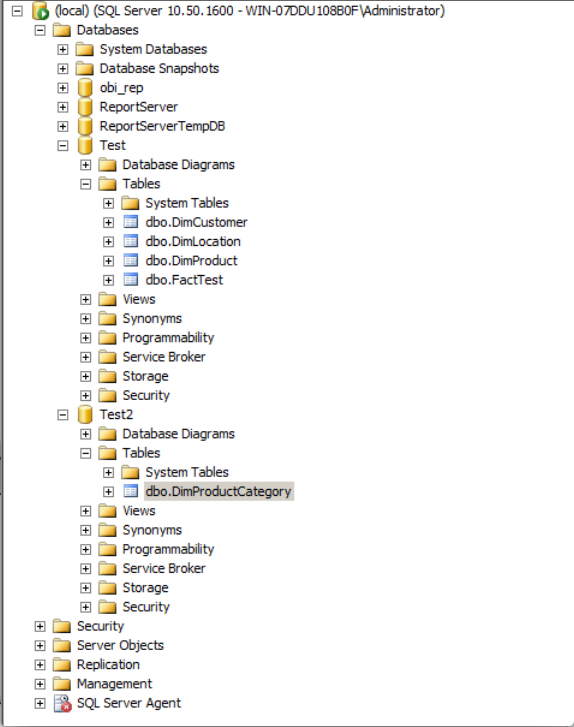 Let’s start with DimProduct and DimProductCategory, the 2 tables that reside on separate databases. We will use “Logical Table” to do this. 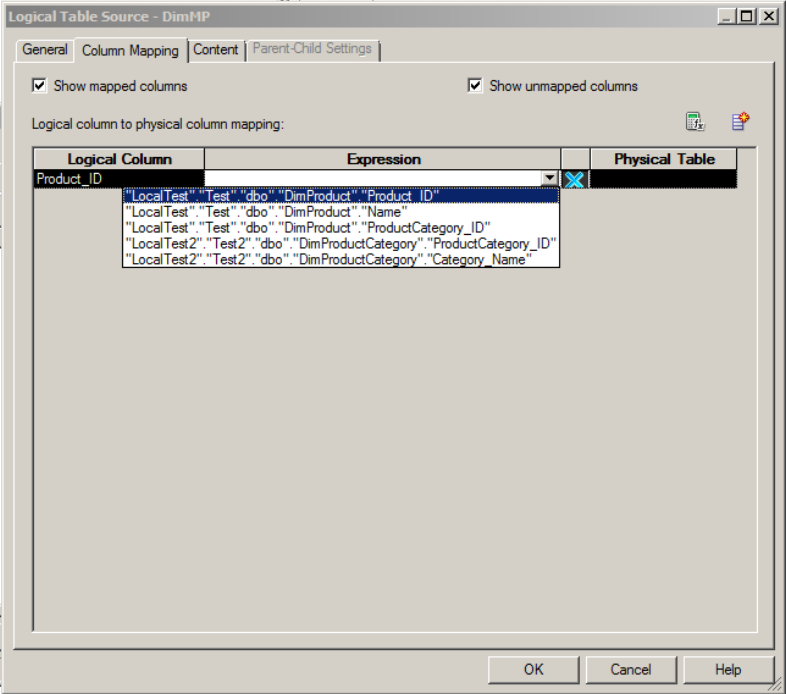 Right-click on Business Model, then “New Object” and then select “Logical Table…”. Logical Table window will open. 4- Give your new logical table a name in “General”. Let’s call it DimMasterProduct. 5- Click on “Sources” tab. As its name implies, this is where we can define the source(s) for our new logical table from tables available in Physical layer. Click on the green “+” button. Logical Table Source window opens. 6- Give it a name. 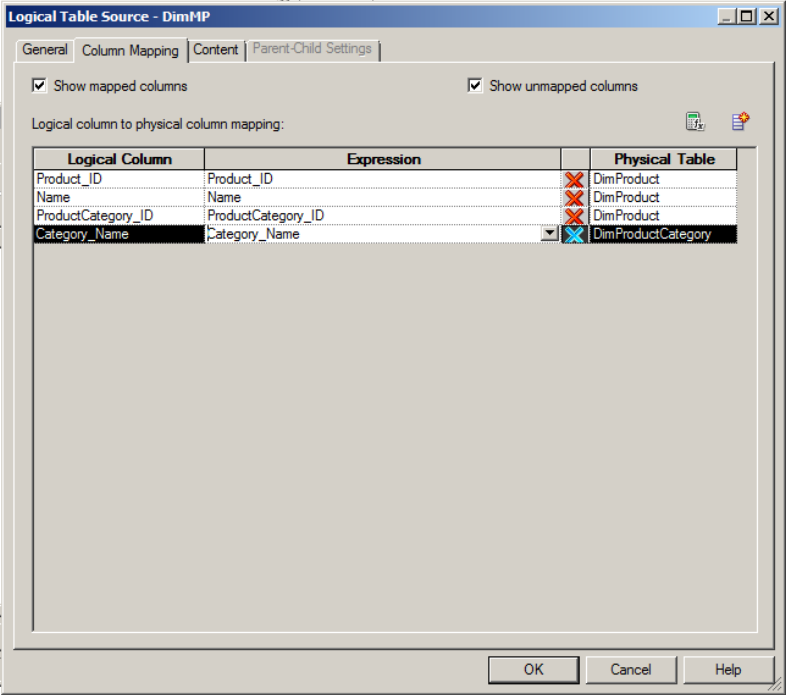 9- Click on “Column Mapping” tab. Here we can add the columns from our sources to our logical table. Click on “Add New Column” button. Logical column window opens. Click OK to go back to Logical Table window. Click OK to exit Logical Table window. Notice that both FactTest and DimMasterProduct have a # mark on them, implying they are Fact tables. 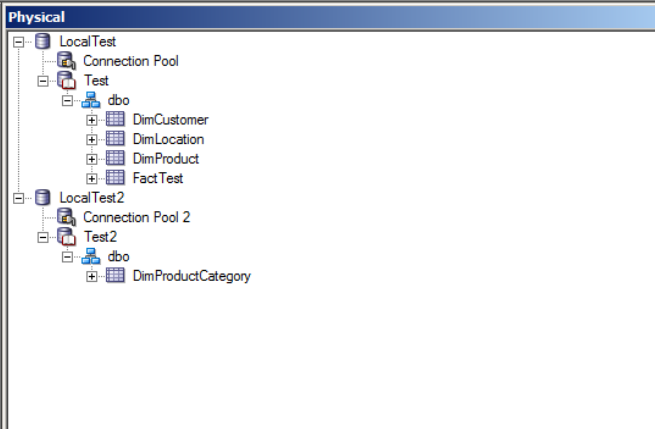 OBIEE will treat all tables with no join pointing to them in BMM layer as fact tables. To change this, we need to define our “Business Model Diagram”. 1- Right-click on your Business Model and select “Business Model Diagram”, and then “Whole Diagram”. 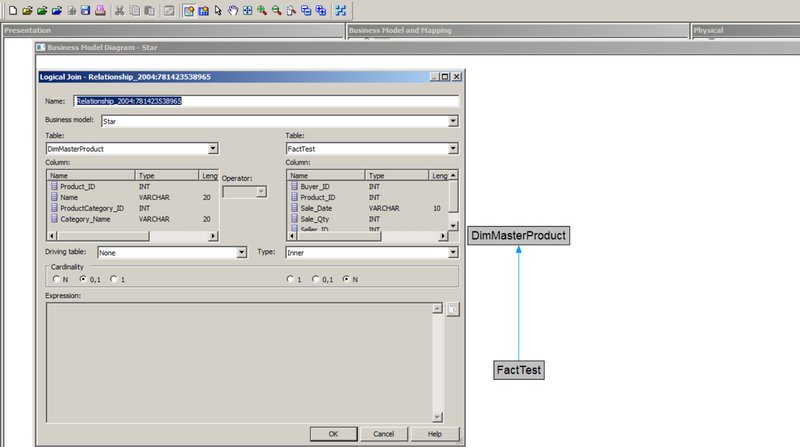 My 2 tables in BMM layer namely FactTest and DimMasterProduct are shown. Notices the difference? Here, unlike Physical layer, we don’t need to define which columns will be used to join 2 tables together: OBIEE will work it out based the physical relationship of tables in physical layer. 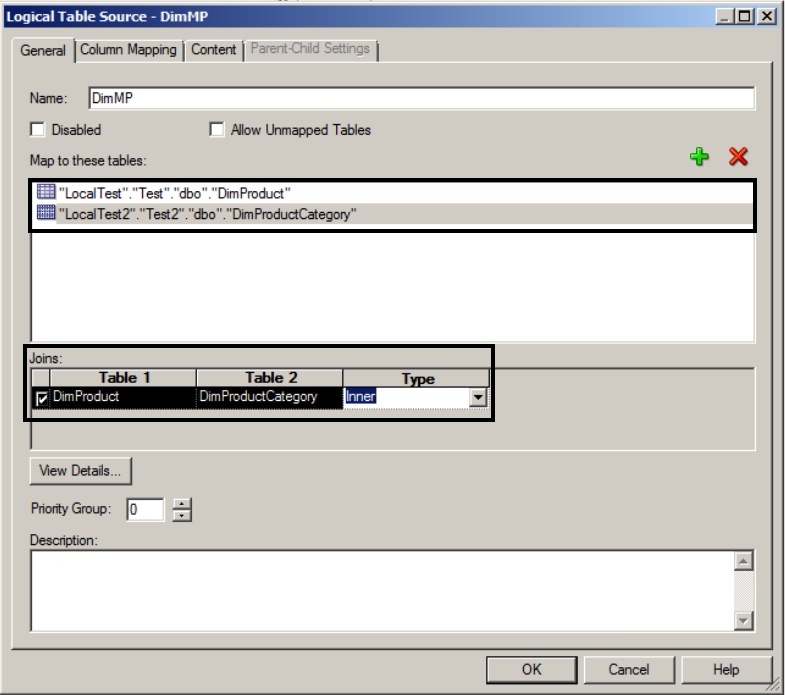 1- Double-click on your logical table’s entry in BMM layer. 2- Go to “Keys” tab. There should be an empty row added. 3- Enter a name for the Key in “Key Name” column. 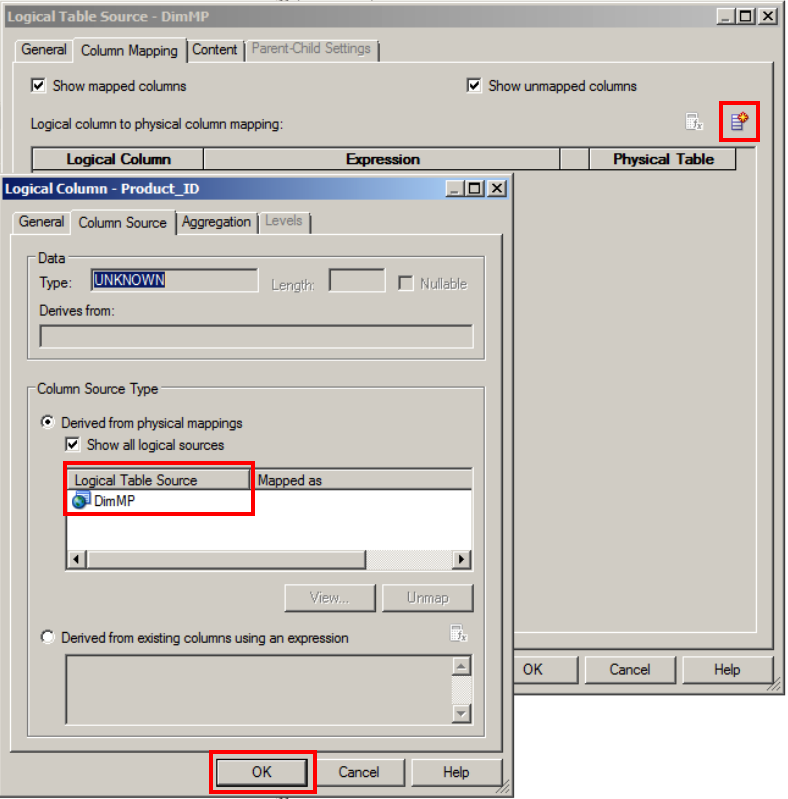 4- Select the column that is the primary key of your table from “Columns” drop-down. 5- Select the key you just created from “Primary Key” drop-down. 6- Click Ok and save your RPD. Click yes for OBIEE to check Global Consistency. 7- Notice the change in the icon of Business Model in BMM layer. Now your RPD is ready to be deployed and used for analysis. This method applies to any other scenario where 2 or more tables need to be joined together to create a single dimension: In other words, to convert snow-flake to star schema. Hi all. 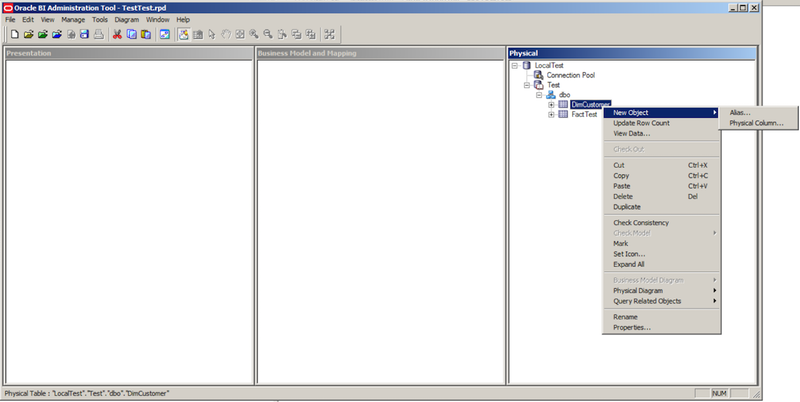 I am finally writing a new post after more than 1 year and surprisingly it is not on SQL Server! I must confess that I am not a front-end kinda person and do not particularly enjoy doing dashboards and reports. But I recently started a new job and my first project is going to be on OBIEE. The twist here is that both Buyer_ID and Seller_ID point to the same dimension table, DimCustomer. Since we can add each table to the Physical layer of Oracle BI Administration Tool only once, I was wondering how I should model my data model in OBIEE. And we already know that the physical structure of queries sent to data source is defined by how objects are related and joined to each other in Physical layer of BI Administration Tool. Therefore, we need to find a way to create 2 objects in Physical layer based on DimCustomer. Well, this is very easy: it can be done by creating an Alias based on the original DimCustomer. If this Alias is going to be used as a dimension table, define the primary key of that table on Keys tab. 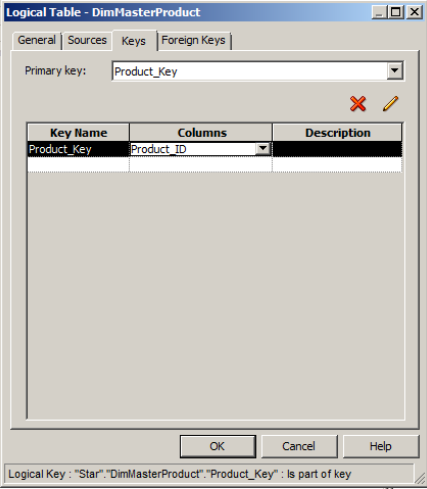 You’ll need to enter a name in Key Name column and then choose the actual column from Columns drop-down to be the primary key of this new Alias table. And now you are done. You’ll see a new entry in Physical layer as a table that you can use in your physical diagram and use it to define your model properly. Hope this post will come in handy, cheers.